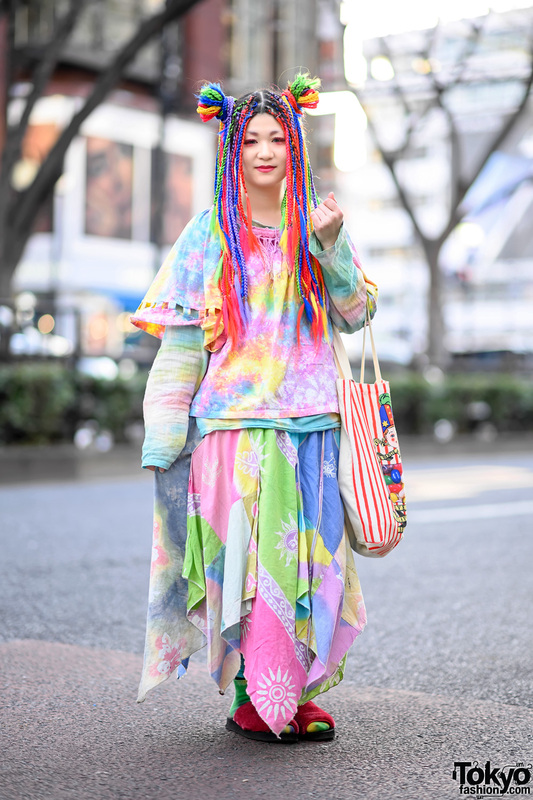 Here’s an 18-year-old student named Saya who’s a fan of the natural look. Her auburn hair is worn in a long braid and tied with a pink ribbon. 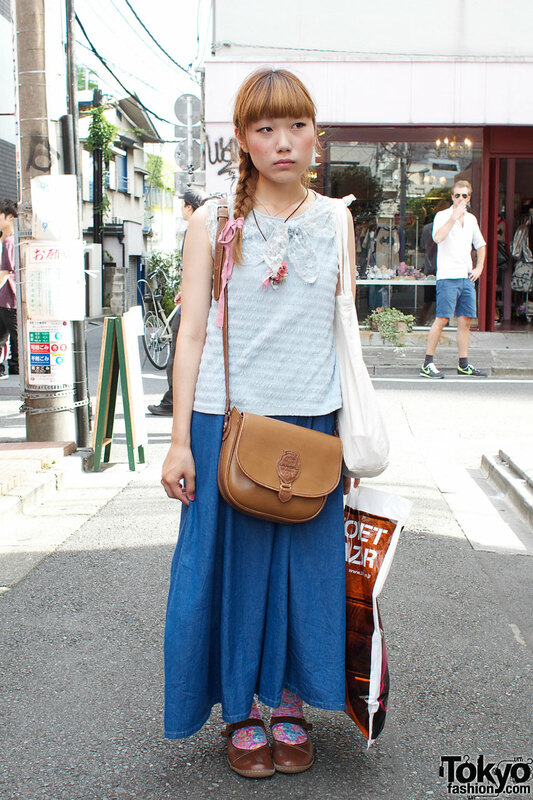 She’s wearing a sleeveless cotton top from a resale store over a long denim skirt from Kinji resale. Her flat Mary Jane shoes are also from a resale shop. 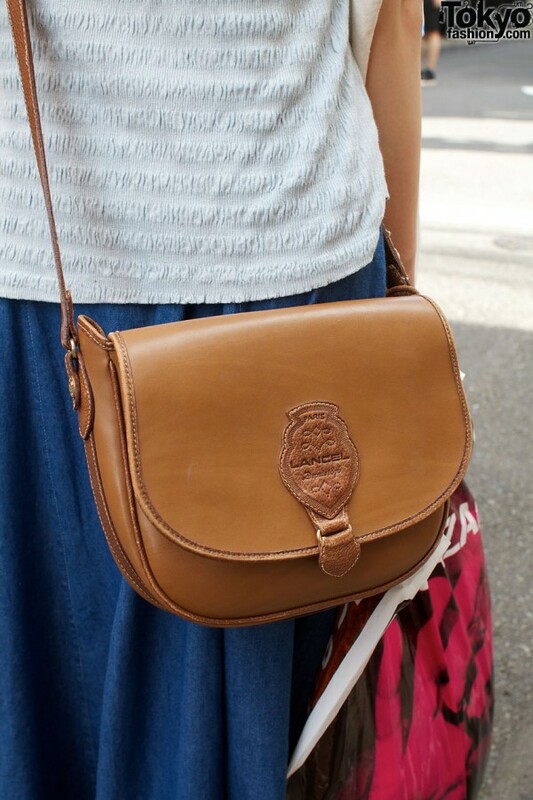 Saya’s leather cross body bag is from Lancel and was a gift from her mother. Her necklace with small roses is handmade. Saya’s favorite type of shopping is resale and her favorite resale shop is Santa Monica. Whoa. It’s all so nice on here. Love her socks. Girl should be happy and feeling good about herself. She is a snappy dresser. hey hair is cute. :) I love that bag too!!!! luv the bag,she’s looking lovely….spring season duh!